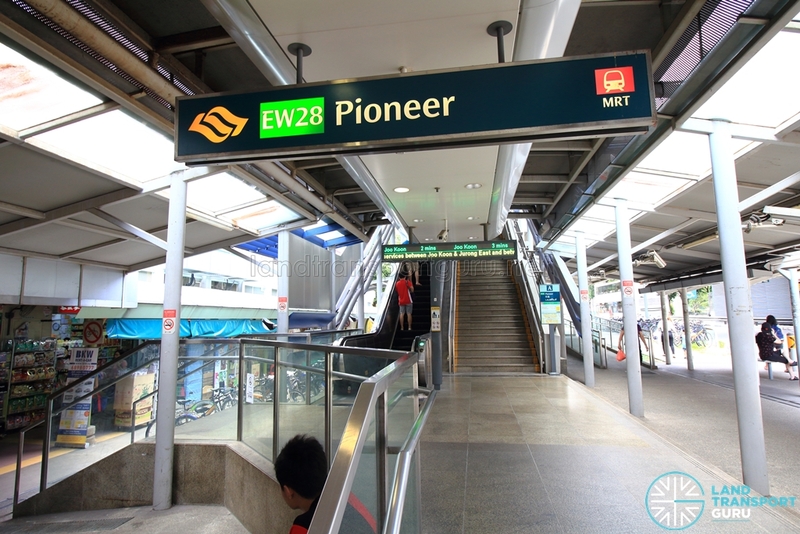 Pioneer MRT Station (EW28) is an above-ground station along the East West Line (EWL). It sits within the Jurong West Central planning subzone, adjacent to the Yunnan subzone, and is physically located along Jurong West Street 63, near the junction with Pioneer Road North. 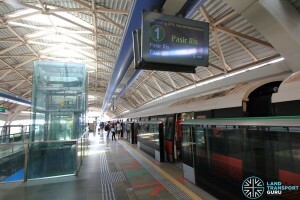 The station opened in February 2009 as part of the Boon Lay Extension of the EWL. It takes its name from the nearby Pioneer Road North, an extension of the Pioneer Road that stretches far into Tuas. Formerly called Jalan Besi, it was later renamed after the pioneering National Iron & Steel Mills. Pioneer station is built in the heart of the Jurong West residential estate, serving nearby HDB residential developments, community amenities, and schools. Bus services connect the station with Nanyang Technological University (NTU), the Jurong Industrial Estate, and other parts of the Jurong West estate. 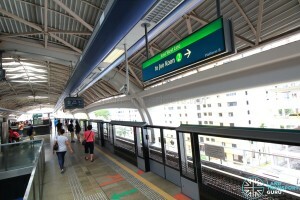 Pioneer station has two elevated East-West Line platforms in an island platform arrangement. Half-height Platform screen doors are installed at the platform edge for the safety of commuters, and retrofitted High volume, low speed (HVLS) fans keep passengers cool. 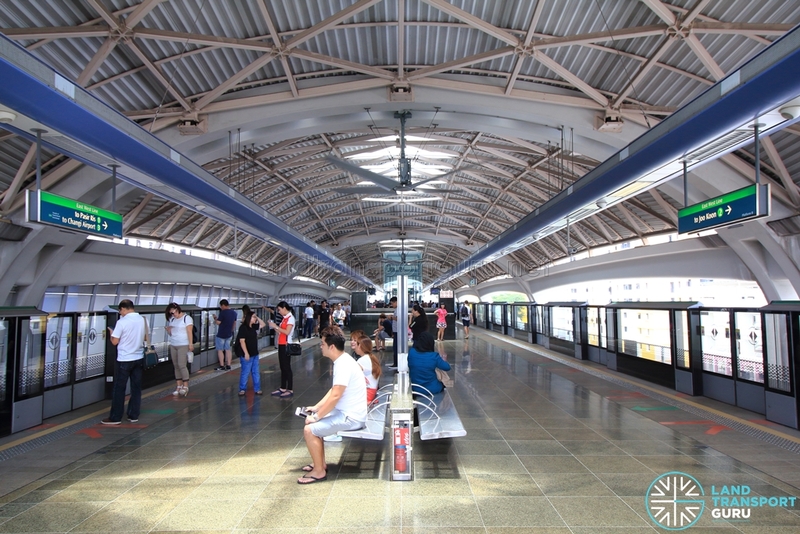 Identical in construction to Joo Koon station, a barrel vault roof design allows for a spacious interior that is easily navigated; a design similarly used on many stations along the Eastern side of the East West Line. Skylights on the roof allow natural lighting into the station. Passenger Information Systems, which are plasma display screens located at each platform, display expected train arrival times and key messages. Tactile flooring helps to guide the visually-handicapped from the platform to station exits. Escalators, lifts and stairs connect the Platform level to the Ticket Concourse level below. The station has a ticket concourse located at Level 2. 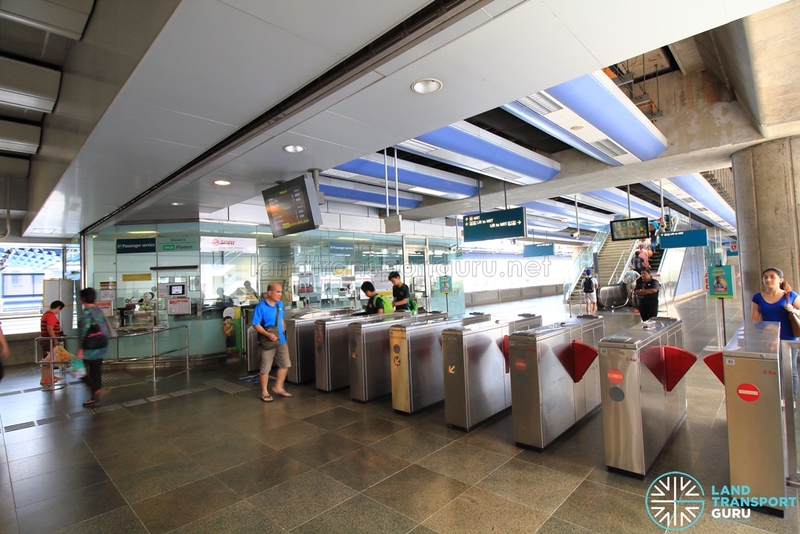 It features faregates for automatic fare collection and provides access between paid and unpaid areas of the station, with at least least one bidirectional wide-swinging gate for the benefit of passengers-in-wheelchairs and those carrying bulky items or travelling with prams. General Ticketing Machines allow commuters to purchase tickets for single or multiple journeys, and along with TransitLink Add Value Machines, offer contactless card transactions. The station office functions as a Passenger Service Centre, and is staffed during operating hours, where commuters may make travel inquiries or perform card transactions using cash payment. Toilets and retail shops are located in the unpaid areas of the ticket concourse. A linkbridge across Jurong West Street 63 connects to two exits on either side of the road. 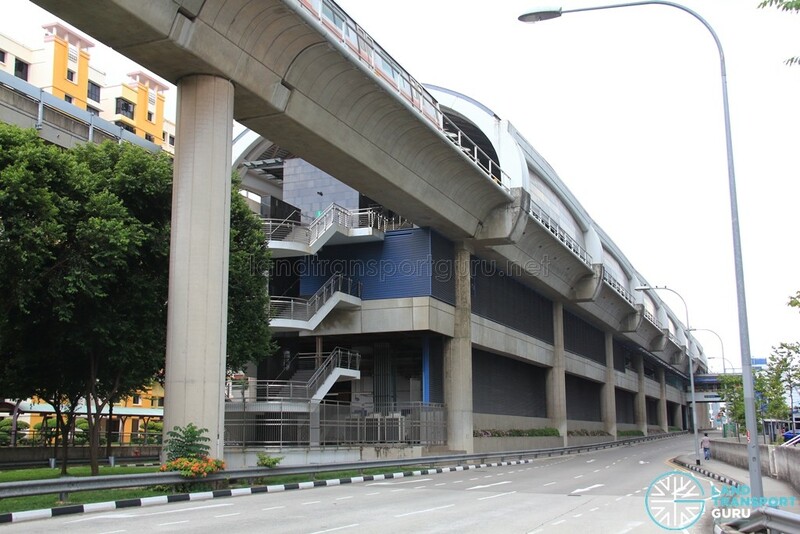 Built in-between two carriageways of Jurong West Street 63, Pioneer MRT station has one ground-level exit on both sides of the road, linked to the ticket concourse level by a pedestrian overpass. All exits offer barrier-free accessibility for the disabled. Passengers heading to Nanyang Technological University or Jurong Industrial Estate should use Exit A and transfer to other bus services. 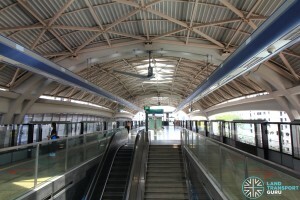 Pioneer MRT station connects to several bus stops in the vicinity, as well as taxi stands and passenger pick-up points. There are two bus stops officially linked to Pioneer station. In addition, passengers can board free regular bus services at bus stops officially linked to Pioneer station depending on the situation on the ground. 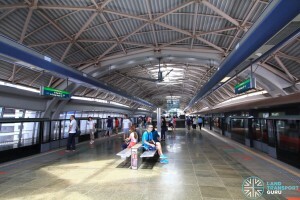 Serving residential estates and schools, as well as being a transfer node for commuters heading to the Nanyang Technological University (NTU) / National Institute of Education (NIE) and the Jurong Industrial Estate, Pioneer station encounters low to moderate demand throughout the day. Pioneer station was constructed along with Joo Koon station as part of the Boon Lay extension, a 3.8-kilometre fully elevated extension linking residential and industrial areas of Pioneer and Joo Koon to the existing East-West Line from Boon Lay Station. Costing S$436 million, construction of the Boon Lay extension started in August 2005. 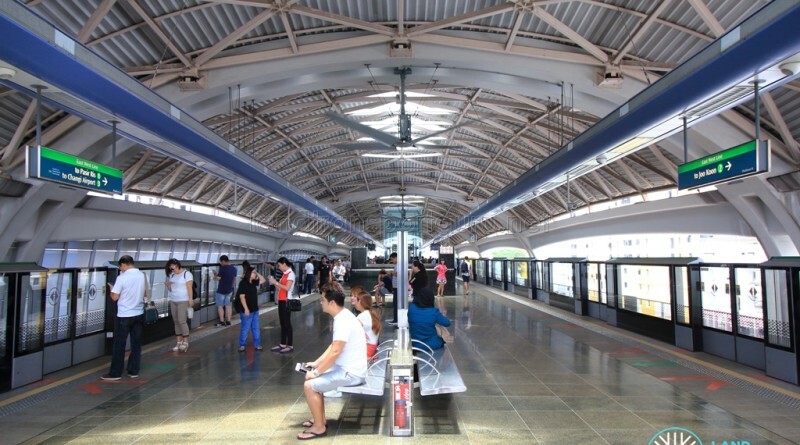 With the opening of the BLE, the East-West Line was extended to 49.2km and 31 stations. 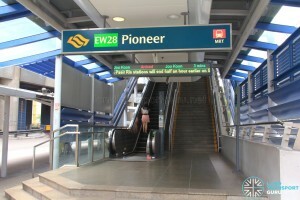 Pioneer station opened on 28 February 2009.